Do you know what my favourite thing in the world is? When non-vegan companies go vegan. Unfortunately, that doesn’t happen very often. My second-favourite thing, however, is getting pretty common these days, and that’s when non-vegan companies realise there are SO MANY VEGANS that making a vegan version of their product is a total no-brainer. Excitingly, this is exactly what happened with Fudge Kitchen. 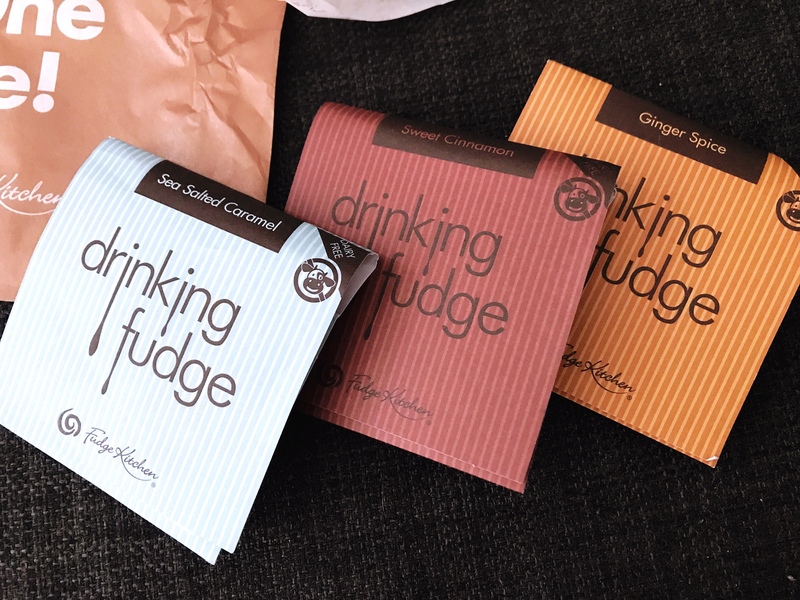 I was first introduced to Fudge Kitchen by my friend Adele, during one of our meet-ups in York. This was years and years ago, and at the time, they didn’t have any vegan options. But I fell in love with the tiny little shop, the entertaining staff who, for some reason, are always wearing antique hats, and the ability to see right into the production area. During every subsequent York visit, I’d make an excuse to walk past, wishing they’d sell vegan fudge. Well. It turns out that Fudge Kitchen have been making vegan fudge for quite a while now, and it completely passed me by because I never actually went back into the shop. More fool me, because I’ve been missing out on a lot of vegan fudge. This past weekend, we were back in York for a speedy family visit and had gone for breakfast in town. I remembered that I’d heard rumours about vegan options at Fudge Kitchen an insisted on stopping by. 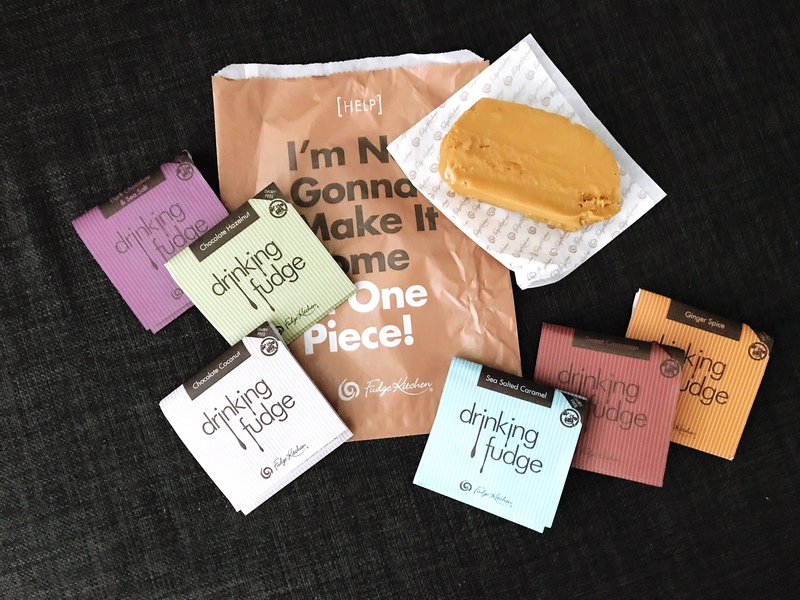 Luckily for us, they had a whole selection of vegan products, including two different slabs of fudge, chocolate and salted caramel, and six different types of drinking fudge. After trying both fudge slabs and deciding that they were both delicious, we went ahead and purchased the salted caramel one. Because Fudge Kitchen were offering one slab and six sachets of drinking fudge for a round £10, we decided to go with that, because #YOLO and also because you can never have enough hot chocolate around the house. We split the fudge between three of us, and it was gone in twenty minutes flat. The flavour was absolutely perfect, with just enough salt to bring the flavour out and no strange aftertaste. If anything, I’m even more impressed with the drinking chocolate – I’ve been making it with homemade non-dairy milk and it’s so creamy and delicious! 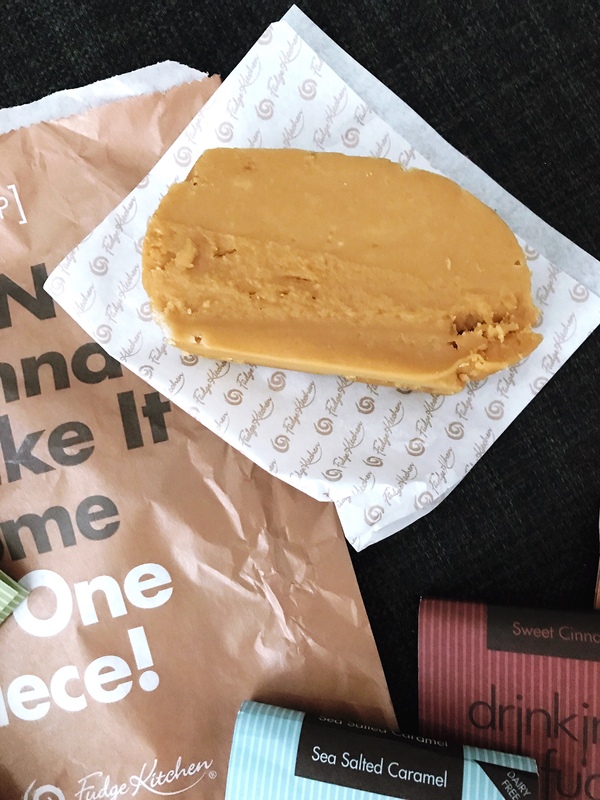 Yeah, it’s not exactly a health food, but if handmade, high-quality vegan fudge isn’t worth indulging in, then what is? I’m really excited to see whether and how Fudge Kitchen develop their vegan range, and will be keeping a close eye on their display cabinet every time I go to York. If you’re interested in purchasing some of their items, they’re available online, and Fudge Kitchen have stores in York as well as Bath, Cambridge, Canterbury, Edinburgh, Oxford, and Windsor. Not Liverpool, you’ll notice. Hole in the market if you ask me!